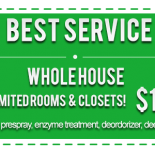 Beyer Carpet Cleaning San Antonio verses the other guys has a no pressure sales environment. When customers call Beyer Carpet Cleaning San Antonio we tell you everything up front. If you ask us about pet treatment we will let you know you may not need it once we are done cleaning your carpets. We will also let you know that if there are any pet stains that did not come out or a lingering odor that we have additional services for an additional fee but it is up to the customer if they would like to have these services done. We will not ask you over and over or continue telling you that you need a specific service. Our technicians are respectful of our customers wishes and will put you in a no pressure sales environment. Some companies here in San Antonio will continue to pressure their customers into purchasing additional services that they often don’t need. These companies just want to sale you services and products so they can put more of your money in their pockets. Beyer Carpet Cleaning San Antonio will not do this to their customers. Our customers have the final say when it comes to any additional services they originally did not order. We are carpet cleaning experts and will let you know if there is anything additional that should be done so your carpets San Antonio will look picture perfect. 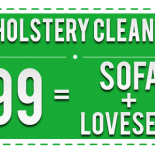 Carpet cleaning, tile and grout cleaning, and upholstery cleaning are our fields of expertise and we will do everything to make our customers happy and want them to use us again and again. In our no pressure sales environment we want to make our customers feel comfortable when we come into their home. We want you to be able to trust us and always glad to see Beyer Carpet Cleaning San Antonio at their home. Call Beyer Carpet Cleaning for all your carpet cleaning, tile and grout cleaning, and upholstery cleaning need.